Sloane Stephens won the 2017 U.S. Open, then reached the final of the 2018 French Open. The cheesesteak will remain Sloane Stephens' favorite aspect of Philadelphia, although she has mixed feelings about the Eagles' Super Bowl win. "The Eagles winning, that was great," Stephens said, "but I'm a Patriots fan, which was kind of a bummer. But it's OK. It was great for the city. I'm happy for them." Stephens, the reigning U.S. Open champion and recent French Open finalist, will hit the tennis court Thursday, July 19, for the Philadelphia Freedoms at St. Joseph's University's Hagan Arena. So will No. 8-ranked men's player Kevin Anderson of South Africa. Now the United States' highest-ranked female player in the world at No. 4, Stephens is with the Freedoms for the second straight year in two one-night matches. Her second match will be July 27 against the Washington Kastles in Chicago. Stephens' match in Chicago is a community outreach event. It will benefit the XS Tennis and Education Foundation, which was founded by her coach, Kamau Murray, a Chicago native. XS is aimed at providing unprivileged kids in the Chicago area an academic/athletic pathway to higher education. The foundation hosts tennis play interactive days as a cornerstone of bringing youth together throughout the area. "We love seeing kids grow, and the energy from the game of tennis, giving them the opportunity," Stephens said during a conference call. "I think for us this is something we really feel strongly about is giving kids the opportunity to play." Stephens doesn't take her coach-bonding opportunities for granted. She knows it's rare to have a positive and equally valuable relationship with her coach. When Stephens and Murray are on long road trips together, they bounce potential events and ideas off each other with the intention of implementing them within their own foundations. Most recently, the two have come up with a series of play days and arrangements for introducing professionals to their foundations. "Player-coach relationships are not easy and most of the time not fun, so if you both have something you really, really do love, I think it's pretty cool," Stephens said. When sidelined by a fracture in her right foot in 2016 for more than six months, she relied on mentorship with kids who benefit from both her Sloane Stephens Foundation and Murray's organization to take her mind off her long recovery. "That's something I really, really enjoyed," Stephens said. "I love giving back. I love kids. I love giving them the opportunity. No matter what, my priority is always going to be the kids and the foundation." Showing promise as a 19-year-old, Stephens garnered comparisons to Serena Williams when she clinched her first Grand Slam semifinals appearance in the 2013 Australian Open. 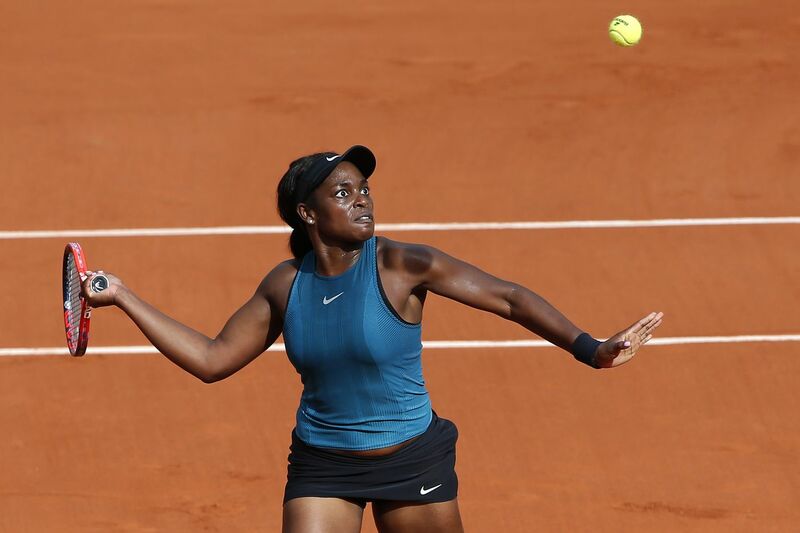 Following that breakthrough, Stephens' career over the next three years was inconsistent and in 2016 she was faced with the setback of the foot injury. Since returning to the circuit last summer at Wimbledon, Stephens has been on quite the comeback trail. She will have a shot at another major title next month during Wimbledon. "I think it's been a good year. I've had some pretty amazing highs, not too many lows, but I think they've balanced out well," Stephens said. "I'm just super-excited to be competing pain-free and injury free. I'm just happy to be competing and back on the court again."